Follow Rob’s quest for understanding of Japan’s energy efficiency on this interactive map. While reporting my series on Japan’s energy efficiency, I’ve come across a list of explanations from economists, government officials, industry insiders, and Japan experts about how Japan became the most energy-efficient country in the world (measured by greenhouse gas emissions per unit of GDP). Most of the reasons revolve around Japan’s lack of fossil fuels; a market-based supply-and-demand answer. A few weeks ago, when I met with Ikutoshi Matsumura, he gave me the same answer. I let him finish, and then pushed harder: “But Matsumura-san, there are many countries, like Japan, that are equally resource-poor, and they are very poor and struggling. Why is Japan different?” Matsumura, an executive at Nippon Oil, Japan’s largest oil company, started chuckling [Ed: Matsumura also appears in Part 2 of Rob’s radio series as head of Japan’s Fuel Cell Association. He’s that, too]. He admitted that he, too, had thought this over during his lifetime, and that the conclusion he always reached was that there were more than market forces at work here. The deeper reason was cultural. 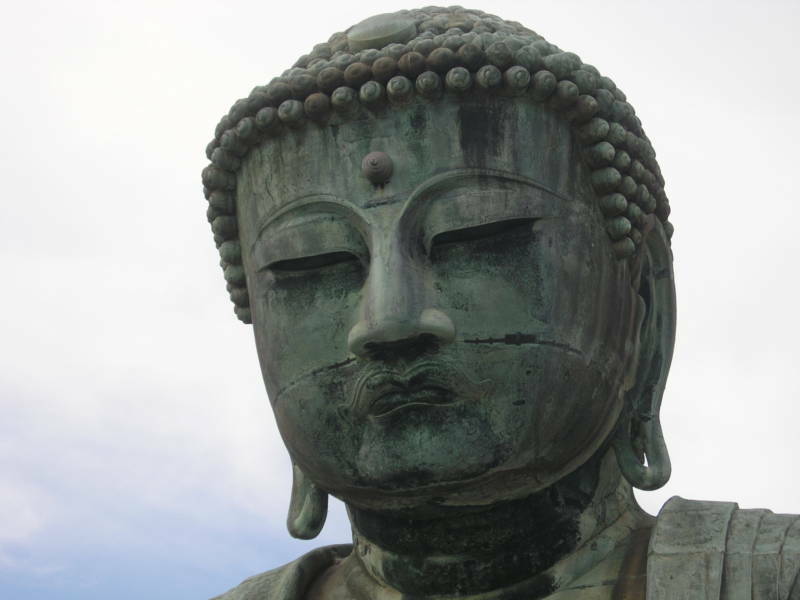 The 750 year-old Great Buddha of Kamakura. How much of Japan’s energy-saving path is cultural? 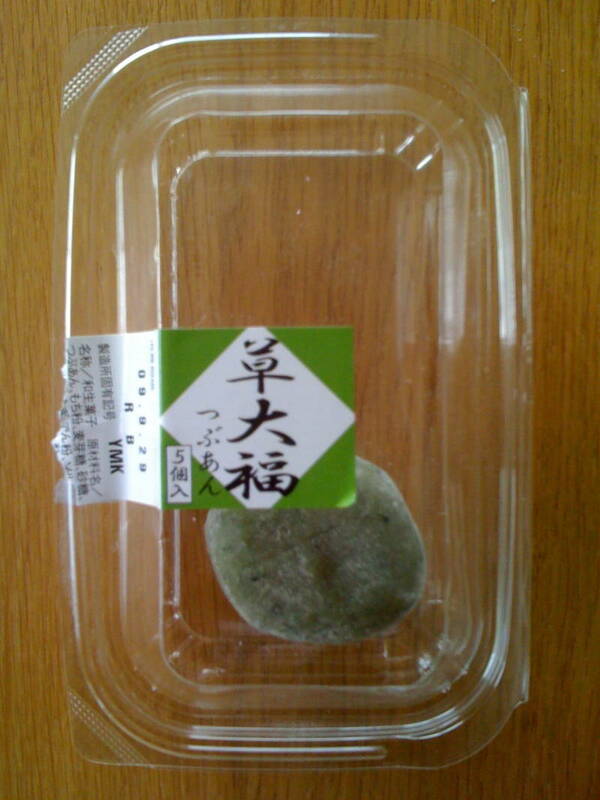 One last Mochi + Nobody to eat it = a Mottainai moment. Mottainai is a term in Japanese that roughly translates to “What a waste.” The concept is an ancient one based on Buddhist philosophy. The meaning of Mottainai is that one should never waste anything. Buddhists traditionally used the term to show regret for wasting something sacred, such as religious lessons. In modern colloquial Japanese, Mottainai is often heard. If a child doesn’t finish his rice, his parents will spit out “Mottainai!” If you forget to put the newspaper in the recycling bin, a neighbor will see this and whisper “Mottainai” under her breath. You get the idea. In 2005, Nobel Peace Prize winner Wangari Maathai visited Kyoto from her native Kenya, and learned about the word. A world-famous environmentalist, Maathai quickly applied the word to climate change. She’s reportedly used the word on her lecture tours, and while addressing the U.N. Commission on the Status of Women, she led the audience in a ‘Mottainai’ chant. Maathai’s publicizing of Mottainai prompted the Japanese government and non-profits to start using the word as a call to protect the environment, too. Kawanishi added that this dynamic combination of internal values is not comfortable for the Japanese, but when applied to protecting the environment, it works.